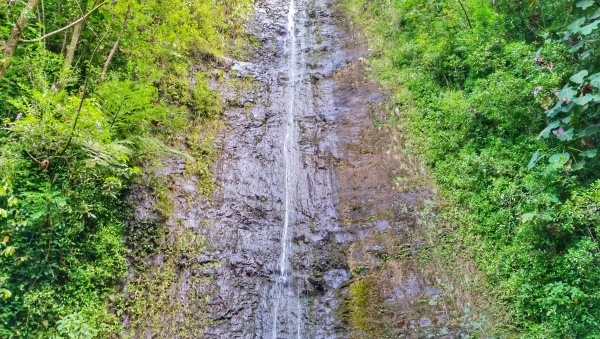 When it comes to waterfalls in Oahu that are popular among visitors, Manoa Falls is at the top of the list! 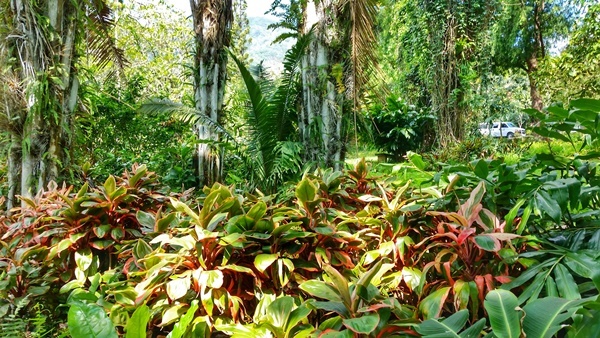 It requires a hike to get to the waterfalls, which will take you through the forests of Hawaii with diverse plant life. 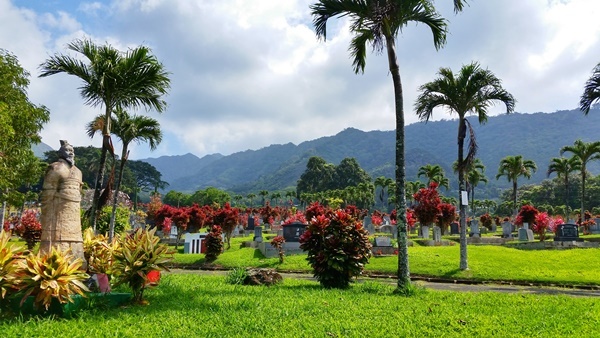 Driving: With parking near the start of Manoa Falls Trail, driving is a convenient option if you have a car. See Manoa Falls parking details here. Bus: With Oahu’s convenient bus system, getting to Manoa Falls Trail by bus from Waikiki isn’t a bad option either. 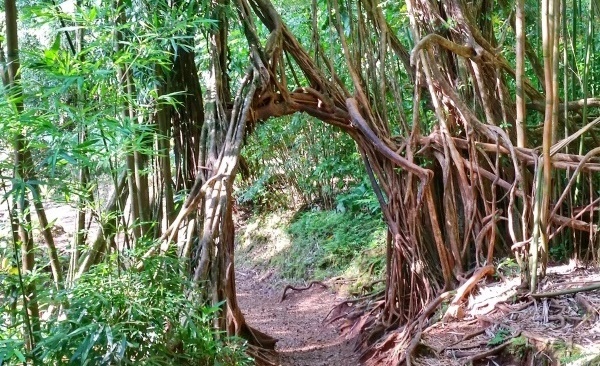 See pictures from the Manoa Falls Trail here. Taking the bus to Manoa Falls from Waikiki likely means that it will require at least one transfer. It depends on where in Waikiki you’re catching the bus from, and it will also depend on your timing. 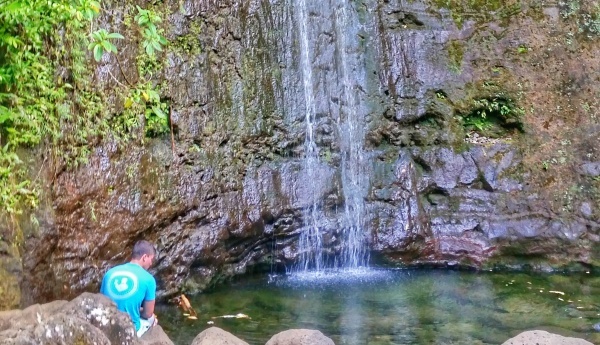 Even though this Oahu waterfall hike is pretty near Honolulu and Waikiki, it usually requires that extra transfer since the trail is nestled at the back of a residential neighborhood. 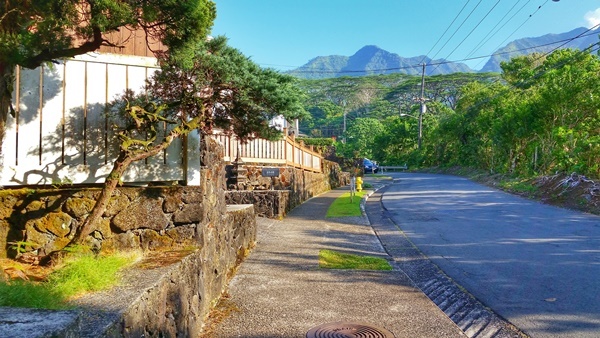 Residential neighborhoods mean less bus routes pass through them, unlike if you were to take the bus along a busier part of Oahu like Honolulu and Waikiki. The total time that you’ll be on the bus is about 30 minutes. 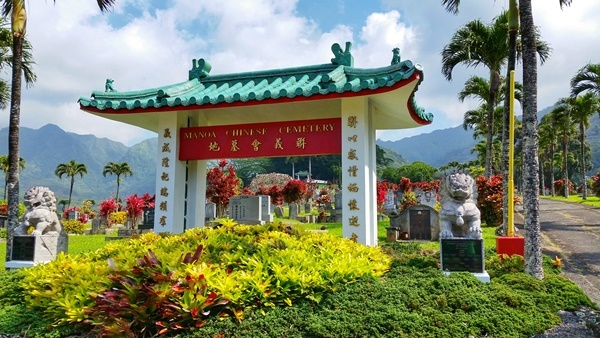 Have a look here for directions from Waikiki to Manoa Falls. It will give you an idea of your bus route and timings with about how long the whole bus trip will take from start to finish. Make sure that the start time represents around the time you may be taking the bus when you’re on Oahu for a more accurate representation of the bus routes available. If you know where you’re staying, plug that into the start too. 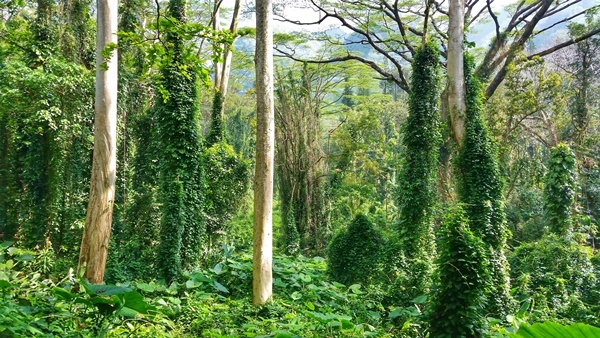 To get to the start of the Manoa Falls Trail, here’s what you might see on your walk once you get off the bus in Manoa. It will be about a 10 minute walk getting from the bus stop to the start of the trail. 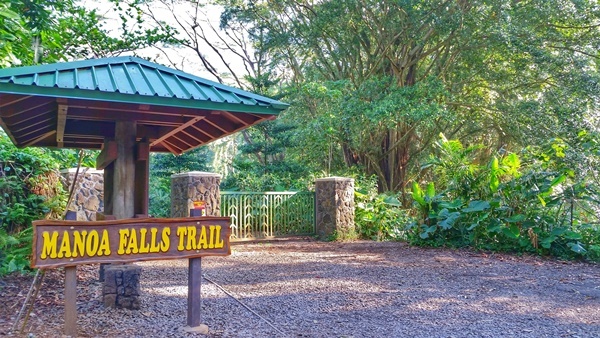 You pass through the residential neighborhood of Manoa to get to Manoa Falls Trail. Then you’ll enter a forested area, which means you’re getting closer to the trail! 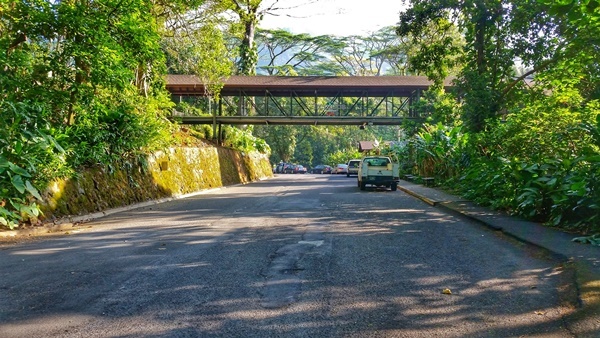 There’s a parking fee at Manoa Falls if you decide to change your mind and drive there. Subject to change, but as of spring 2017, the cost of parking was $5. If it’s full, or you want to save that $5 on a Dole pineapple whip 😉 you can park down the street in the residential area (at your own risk!) and then walk up to the trail. And then you’ll see the start of the Manoa Falls Trail! And so begins your journey to the waterfalls! On your way back to the bus stop, you can stop by the shop if you didn’t come prepared for a hike in Hawaii with plenty of water. 😉 There’s a gift shop too, if you want to do some souvenir shopping for Hawaiian gifts! There are also restrooms here, which is no problem for you to use even if you don’t buy anything. There’s also a little hallway with artwork on display that you can learn about native Hawaiian history. This is a good way to get a glimpse into the native culture if you don’t have plans to explore Hawaiian culture otherwise! And for Manoa Falls, you will likely be on the trail for more than an hour. Add to that, the time it’ll take you to get to and from the trail by bus. And while there is that convenience store as a back-up, this means you should really consider bringing along water! This way you can be sipping that water throughout the time on the hiking trail and the bus! You may also want to have some extra socks too, as well as your sandals, just in case you encounter a muddy trail. And a plastic bag to put your dirty socks and shoes in. There are times that the Manoa Falls Trail can get a little muddy.